Chama cha Uzazi na Malezi Bora Tanzania (UMATI) is an autonomous, not for profit, non-political national NGO providing Sexual and Reproductive Health (SRH) information, education and services in Tanzania. 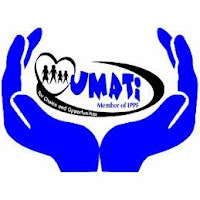 UMATI was established in 1959 and is a full Member Association (MA) of the International Planned Parenthood Federation (IPPF); recently re-accredited by IPPF in 2015. A Tanzanian where people are free to choose and exercise their SRHR without discrimination. To champion SRHR and provide information and services targeting the young and the underserved. •	Quality assurance and quality control of the laboratory. •	Inspect Chemicals/ stock solutions/ laboratory materials in use on a daily basis. • Maintain monitoring schedules, and ensure proper and updated laboratory document control and record keeping, including laboratory log sheets. •	Ensure proper management and use of laboratory equipment and tools, reporting any defects to clinic in-charge. •	Ordinary Diploma Ordinary Diploma In Medical Laboratory Technology (NTA Level 6) ) from a recognized institution.